Our host was running late, so we decided to pitch in and help get ready for the evening’s festivities. Cold beverages in hand, we stoked the fire and made sure there were plenty of coals for cooking. We cleared off the sheet of plywood atop a pair of rickety sawhorses and laid out some hardware store oyster knives, cotton gloves, a roll of paper towels, a sleeve or two of saltine crackers and a bowl of homemade cocktail sauce filled with a heavy-handed portion of horseradish. Lowcountry Oyster Company’s Trey McMillan. The Lowcountry’s “white boot warriors” have been harvesting wild oysters for years. Oystering is a backbreaking and laborious job that is not for the faint of heart. Like anything else, oyster harvesting has evolved over time. The increased demand for oysters 12 months of the year, along with advances in technology and technique, have made it possible for oysters to be available anytime of the year. The days of traditional wild oyster farming – which are subject to the tides, temperature and environmental conditions – are not over but greatly improved upon. 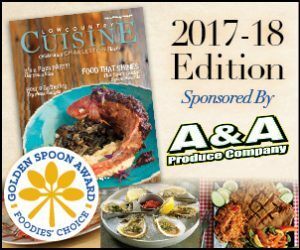 South Carolina now has four full-time oyster farms producing product safe to enjoy all year long. Area fishermen, entrepreneurs and restaurateurs have taken full advantage of this new opportunity. Malcolm Jenkins and Trey McMillan sorting oysters. 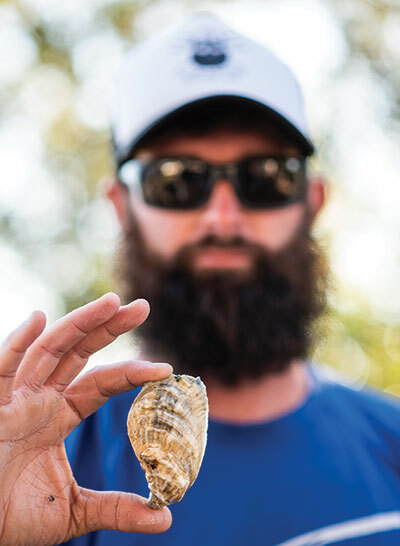 Local commercial fisherman Trey McMillan and a business partner jumped in with both feet, starting Lowcountry Oyster Company a year ago. McMillan and company is one of four South Carolina oyster farms producing oysters 12 months a year. 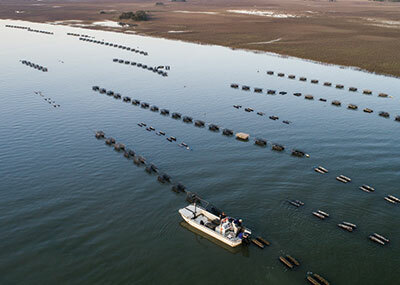 McMillan’s farm, located at Bennett’s Point in the ACE Basin area of the Lowcountry, is currently licensed for 750 cages used to grow their oysters. 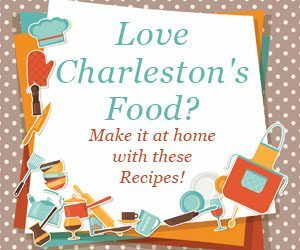 They supply product not only to South Carolina customers but all over the United States. McMillan hopes to be licensed for almost 3,000 cages over the next three years, which would make them the second-largest oyster farm on the East Coast. Putting things into perspective, each cage produces approximately 1,500 to 1,800 oysters, or, in McMillan’s current operation, over 1 million oysters to bring to market. 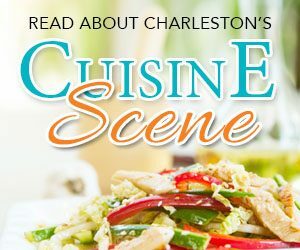 “What we do is not new, it’s just new to South Carolina,” stated McMillan. What makes oyster farming such a game changer in the shellfish industry? What advantages does it have over traditional wild oyster harvesting? The answer is complex but can be boiled down to a few key points: control, quality and production. Wild oysters can be harvested all year long, but the quality of the product is not as marketable due to the reproductive cycle of the oysters during the summer months – or months with no “r.” Tidal flow, which can leave oyster beds exposed above water for several hours, temperature swings and environmental conditions all affect the oyster beds and their marketability. Since oysters are filter feeders, they are a product of their environment and the water that flows over and through them. Each bed of oysters has a taste and uniqueness that varies from area to area in most cases due to this process. James River oysters in Virginia, for example, may taste different than those from the ACE Basin of South Carolina. The use of triploid oysters – nonreproducing oysters – by oyster farmers, the use of growth cages and a controlled, highly-regulated environment help farmers maximize their productivity and supply. The Chesapeake Bay area of Virginia has been producing oysters for market for well over 100 years, and pollution nearly wrecked that industry. Today, that area is once again thriving due to a collective effort by local oyster farmers, conservationists, businesses, politicians and an army of volunteers. The Rappahannock Oyster Company, owned and operated by the Croxton family, helped lead the charge in bringing that industry back to life. 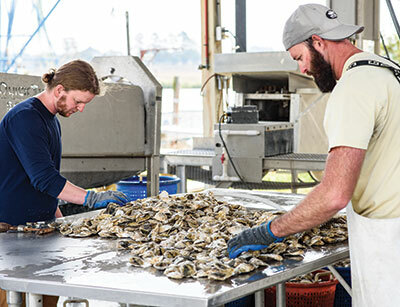 Ryan and Travis Croxton left their respective careers outside of the oyster business to renew their grandfather’s 100-year lease for oyster farming and help revive the dying industry. 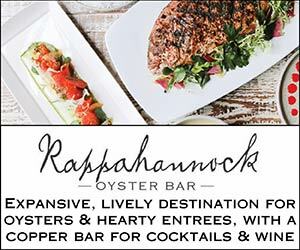 Today, Rappahannock Oyster Company ships oysters around the globe and operates restaurants in multiple cities and states, including Rappahannock Oyster Bar at the Cigar Factory in downtown Charleston. 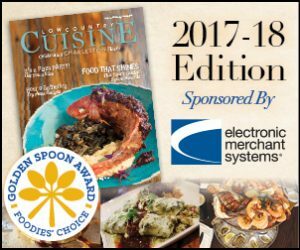 Whether you are old school like me and enjoy standing beside a smoky fire pit roasting oysters in the chilly Lowcountry night air or sitting in a cozy restaurant with friends feasting on tasty oyster dishes prepared by a worldclass chef, in South Carolina, the world is literally your oyster all year long.